Austin-Travis County EMS said they have unconfirmed reports that the incident was a shooting. Northeast Austin's Hart Elementary School was on a lockout as authorities responded to a nearby incident that left one man dead from gunshot wounds. 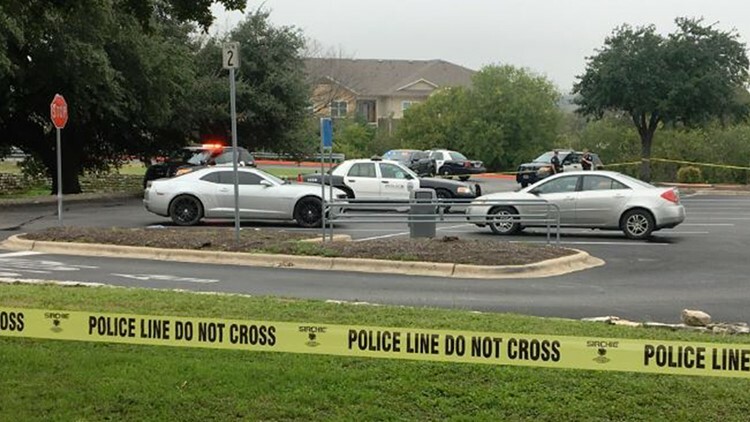 AUSTIN — Police said they have identified a suspect in a murder that led to a lockout at a nearby northeast Austin school. Issac J. Thomas is the suspect identified in the murder of Tony Lamar Huggins in Austin on Nov. 6. Police said the incident occurred at 1030 Norwood Park Blvd. in Austin, which led to the lockout at Hart Elementary School. The lockout was lifted later that day. A lockout means that the doors are locked but it's business as usual inside. Thomas was going to sell Huggins a large quantity of marijuana in exchange for cash when Thomas allegedly pulled a gun on him, according to a witness listed in the affidavit. A witness stated after Thomas allegedly pulled a gun on Huggins, he demanded money. When Huggins refused, Thomas allegedly shot him, according to the affidavit. Police said the witness, who was in the car at the time of the alleged shooting, reported that Thomas pulled Huggins' body out of the car, robbed Huggins of his cell phone, approximately $60,000 in cash and keys before driving away from the scene. Police stated an autopsy was performed on the victim on Wednesday and Huggin's death was ruled a homicide due to gunshot wounds. On Wednesday Thomas was arrested at his residence in Bastrop County for an outstanding probation violation, and was taken to the Bastrop County Jail, according to the affidavit. Police stated a warrant for the arrest of Thomas was issued by Austin Police Homicide Detectives for the murder of Huggins. The warrant for Thomas is for capital murder and he remains in custody at the Bastrop County Jail with no bond.